Smiles by Farr are the dental practices of Dr. Michael I. Farr. 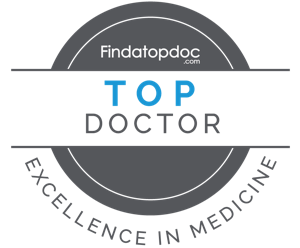 Voted 2015’s Best Dentist in Huntley IL and Voted Top General Dentist in Barrington IL in 2016. Smiles by Farr is dedicated to providing you with the highest standard of dental care. Our experienced staff is trained in all aspects of cosmetic, restorative, and implant dentistry, giving you comprehensive care no matter what. Our practice philosophy is to put the patient first, providing you with options that suit your needs and goals for 100% satisfaction. Stop by anytime for a cleaning or periodontal treatment. Schedule your appointment today! Abscess – A dead nerve that has become infected and the infection is spreading into the surrounding jaw bone. Fracture – A break in the root structure that is allowing the pieces to move about each other and cause an infection in the surrounding jaw bone. Recent Dental Work – Recent dental restorations may be interfering with the bite, causing trauma to the ligaments supporting the tooth. Concussion – A bruise to the ligaments from an injury. Cavity – Bacterial infection of the tooth that is exposing the tubules housing the nerve. Gum Recession – Root surface revealed that exposes the tubules housing the nerve. Recent Dental Work – Bite is interfered with, causing injury to the nerve. Concussion – A bruise to the nerve from an injury. Whitening – Nerve has been stimulated through fluid movement in tooth. Inflamed Nerve – Degenerating condition; nerve dying. For cleanings, periodontal treatments, or any of the conditions above, schedule an appointment with Dr. Farr. Gum Disease – Bacterial infection resulting in inflamed gums and/or bone loss occurring around teeth. Abscess – Infection resulting from bacteria spreading from or around a tooth. Canker Sores – Ulcers on the gums that occur during times of stress and are caused by body’s immune system. Cold Sores – Outbreak of viral infection caused by herpes simples virus that occurs usually on lips but may occur on the gums as well. Pain Upon Opening – Could be a disc displacement, muscle problem, or joint derangement/disease. Can’t Fully Open Mouth – Same as pain on opening. Jaw Moves to One Side – Disc displacement, fracture, or joint derangement/disease. Jaw Gets Stuck – Joints overextended. Decay – Bacterial infection of the tooth that causes loss of a part of tooth. Trauma – Accident like a fall or hit to the mouth. Grinding – Loss of edges of teeth from sliding back and forth. External Staining – Food coloring, tobacco, coffee/tea, decay. Internal Staining – Occurs during formation of teeth such as tetracycline use or over ingestion of fluoride. Old Fillings – Leaking due to open margins or failed bonding. Wear (Grinding) – Uneven edges due to grinding more on one side than the other. Missing Teeth – Resulting in drifting of other teeth out of alignment. Hereditary – Parents had crooked teeth. Cavity – Decay spread under filling and undermined it. Broken Tooth – Tooth fractured and stopped supporting filling. Other Teeth Shifting – Teeth around space shift, tilt, or grow out of gums. Bite collapse loss of height of lower face due to shifting. Joint issues due to bite interference that result from shifting. Overload of Remaining Teeth – Remaining teeth have to pick up the work that the tooth/teeth that are missing did. Poor Appearance – As a result of drifting and change in teeth position. Tongue Position – Tongue falls back into airway space. Obesity – Fat deposits in throat constrict airway space and make tissues flap more with breathing. Swollen Adenoids/Tonsils – Constrict airway space. Disclaimer: This diagram represents potential causes of a condition and is not a professional diagnosis. Contact Dr. Farr to schedule an appointment for a professional diagnosis. Great Dentist!!! The staff is courteous and relaxing. I never feel nervous while in the chair. Dr. Farr's work speaks for itself!!! Great Dentist. He is knowledgeable, friendly and has very steady hand. He was confident while extracting my teeth (two) and filling up cavity. My overall experience was far better than I had anticipated. I would definitely recommend to my friends and family. Dr. Farr is extremely knowledgable and skilled. He is friendly, efficient, and really knows his stuff. He's found and corrected errors from previous dentists, and has helped keep my smile in great shape. Great dentist and great guy. I used him as a student school from Temple dental school. Works with you, explains all options and his work is second to none. I can't even imagine how good his work is now. Why anyone would chance or check out another dentist I don't know. Save yourself the time and just go to him. He's my favorite and best dentist of all time. Dr. Farr is probably the best dentist I have ever been to in my entire life! !....I trust in his profesional opinion because he has alot of pride in what he does...I Have been to at least 5 other dentists in the past and Dr Mike is the only one that explains and gives examples so I can understand .... I thank you ...from the bottom of my heart!!! Best dentist I have ever been to. He is very thorough and does high quality work. Both he and his staff are very nice and personable. I don't think anyone likes going to the dentist but after going to smiles by Farr I know longer mind going. Great staff, great dentist, beat decision you will ever make. Incredible work.Willing to take time and explain everything.He is passionate about his work not to mention a great sence of humor. I moved to Chicago in 2008 and immediately found myself in need of a Dentist. A business associate recommended Dr. Farr. Dr. Farr explained all of my options and provided me his expert advise. He explained the pros and cons of each procedure and suggested which was most suitable for my situation. I value highly a professional that informs me of my options and, through consultation, we agree on a course of action that is in my best interest. I have since moved to LA for business, (miss Chicago) and only hope to find "Dr. Farr" out here! Dr. Farr and his staff are very friendly and accomodating. They do a great job with working around schedules and reasonably accomodating when it comes to larger bills. I've had several dentists between my childhood dentist, whom I loved, and Dr. Farr. He's easily the best, and I'd be hard pressed to switch unless he moved out of the area. Even then, I'd consider going to him for important things like root canals, caps, and fillings. Dr. Farr and his staff are outstanding. Extreamly patient friendly and educational as well. Dr. Farr is a great dentist and he has cared for my daughter teeth age 13yrs and 17 yrs old and with my teeth for a couple of years and would neve consider going anywhere else. He gives Dentist a good name! Thanks Doctor farr! I went to a different MD in the area and he was going to charge me over $800 and said that I needed to have 8 different teeth drilled. Dr. Farr told me that only 2 needed to be drilled for carities but because I smoke cigars dentists often mistake stains for cavities or just simply want to drill to make money. He was simply a joy to talk to and he has my business for life. Dr. Farr is an excellent dentist. He has a tremendous work ethic and is extremely punctual, two qualities that I hold in very high regard!! The best part is that none of the procedures hurt. Not even the injection!!! Hard to believe, I know! Fee schedule is very fair and his work speaks for itself. You will not be disappointed! Dr. Farr is the best dentist I have ever gone to. I never had such a pleasant experience at a dentist office. I had a couple of fillings replaced and also an implant. I couldn't believe how much care went into the procedure and Dr. Farr even called me to see how I was doing the next day. I highly recommend Dr. Farr. I also want to say that he has such an outgoing staff that I felt like I had known them my entire life. If you are looking for a top notch dentist, Dr. Farr is the one for you!!!! Dr Farr is outstanding dentist, all five of my children enjoy going to him. Have been seeing him over ten years and will not go to anyone else. He is very pleasant to be around. Excellent dentist and staff! One of the best dentists I have ever been to. His hands are very precise and his skill is unmatched. He is very polite and courteous and wants what is best for me. He is very funny and his staff is great. I highly recommend him to anyone looking for a great dentist. Dr. Michael Farr is relaxed, friendly, and personable. He holds himself to high standards while never losing sight of a patients pain level. He even had his lab redo a fixed denture because he was not happy with the fit which, in my experience, is only done by a dentist who really cares about the end result. Watching my grandchildren go to the dentist without fear and complaint has been, and is, a real pleasure and my grandson, who recently had his teeth whitened, is thrilled with the result. Multiple visits to Dr. Farr’s office have allowed me to see many patients, of all ages, come and go. They came in smiling, and they left smiling which, to me, says a lot. The name, “Smiles by Farr”, is not just catchy, it is well earned. I am not quick to recommend Doctors or Dentists so when I do it is because I hold them in high regard. Michael Farr is just such a man. I'm always very nervous to go to the dentist because I have very sensitive teeth, but when I went to Dr. Farr's office I was pleasantly surprised. I came to him twice, the first time to have a cavity fixed and the second time for in office teeth whitening. He answered all my questions thoroughly and was very gentle. Also, I was able to get an appointment very quickly!! My husband went to him recently for an emergency tooth pain issue, and was able to get in immediately. 🙂 He's a great dentist and I have recommended him to many friends and family members. and now YOU. I've been to 6 or 7 dentists over the past 50+ years, and Dr. Farr is definitely the best! My first visit was earlier this year and I've been there a few times since. He and his entire staff are very friendly, and they go out of their way to make your visit as pleasant as possible. Best of all, this was my first totally pain-free dental experience, even though he had to do much work with the dreaded dental power tools to prepare my broken tooth for a crown. With other dentists, I always felt some pain during such processes, despite multiple shots of novacaine. Because of those painful experiences, I had put off going to the dentist for several years. But no more! It's a HUGE relief to finally find a great dentist I can really trust. Another big plus: My new crown looks 100% natural (unlike my older crowns put in by other dentists). No doubt about it ... I wholeheartedly recommend Dr. Farr! Dr. Farr makes going to the dentist a breeze! I've been going to Smiles by Farr for several years now for teeth cleanings and have never had that dreaded dentist feeling. Dr. Farr is very nice and personable and the other staff members in the office are as well. The dental hygienist, Dawn, is also amazing- you can barely feel her doing the teeth cleaning and your gums don't hurt afterwards. Plus, you get a goodie bag every time! A toothbrush, tooth paste and a pen. Who doesn't love that?! Dr. Farr is truly committed to helping his patients achieve maximum dental health. I became a patient about 4 years ago in need of serious dental care. He and his staff made the experience much easier and I no longer cringe when I have appointments...I actually enjoy going there! Two years ago we talked about some options for me, so after 20 months of braces at age 54 (I was a "retreat") and then Dr. Farr's Whitening Club, I'm truly happy with the outcome. I have recommended him and his staff to co-workers and friends and will continue to do so. Very highly skilled and personable. This guy knows what he is doing and he cares about his patients. His staff is wonderful. He is pain free too. Dr. Farr makes going to the dentist a breeze! I’ve been going to Smiles by Farr for several years now for teeth cleanings and have never had that dreaded dentist feeling. Dr. Farr is very nice and personable and the other staff members in the office are as well. The dental hygienist, Dawn, is also amazing- you can barely feel her doing the teeth cleaning and your gums don’t hurt afterwards. Plus, you get a goodie bag every time! A toothbrush, tooth paste and a pen. Who doesn’t love that?! Dr. Farr is an exceptional dentist. He is patient, gentle and compassionate. Above all, he knows what he is doing and is great at it. Best dentist I've ever had. I'm so glad he's back in town! Best dentist around! Dr. Farr has a great technique. He is very personable and gentle and his work is excellent. He spends a lot of time with you and is very caring. I have been with my DDS since 1977 and I would not have left him unless I found someone that I am very happy with.........and I have now found him, Dr Farr is outstanding. I have always used the same dentist and was looking for a change, my husband found the reviews of Dr. Farr on Google and decided to set up an appointment for me. When I got into the office 40 minutes early for my first appointment the secretary immediately gave me the paperwork and explained everything easily. The dental assistant saw me exactly on time or maybe a few minutes before my scheduled appointment and was fantastic with my teeth, super nice too! After finishing with his last patient Dr. Farr greeted me warmly as if I had been a patient for years and gave me a little idea about his history in the field. After explaining my X-rays to me, we promptly discussed a follow up. I left the office with a huge smile and would definitely recommend Smiles by Farr!! This dentist is a breath of fresh air. After having gone to several other dentists for consults and treatment I am happy to report that I have finally found someone who truly cares about your best interest and goes above and beyond for you. Dr. Farr was very thorough in his evaluation and gave me several treatment options to help cure my dental problems. Not only were his prices very reasonable, his treatment was gentle and meticulous, and the results are awesome. My kids even love him too. If you are looking for someone who is as excellent dentist and has a really good personality then look no further. I am extremely happy to have found Dr. Farr. Everyone in the office is very personable and professional. My first appointment was a general check-up, cleaning, and consult on a few cavities I had left over from a previous dentist, who I didn’t prefer to go back to. The cleaning & check-up were great. The hygienist was very nice. When I met Dr. Farr, he made the effort to get to know me a bit, even asking me what I’d been trying to find in a dentist. When it came time for the consult, he did confirm that there were 4 cavities, but said that 2 of them looked as though they didn’t necessarily need to be filled right away. Certainly he would have if I wanted them filled, but suggested that it would be better to keep an eye on them in case they don’t need that much attention. I was very impressed as to the actual care & character he showed. When it came time for my 2nd appt, he was did a great job of putting me at ease and keeping me comfortable. I believe I've found my permanent dentist! I moves to Chicago in 2008 and immediately found myself in need of a dentist. A business associate recommended Dr. Farr. Dr. Farr explained the pros and cons of each procedure and suggested which was most suitable for my situation. I value highly a professional that informs me of my options and, through consultation, we agree on a course of action that is in my best interest. I have since moved to LA for business, (miss Chicago) and only hope to find "Dr. Farr" out here! I chipped a tooth and Dr. Farr brought me in right away to fix it. He explained everything he was doing so I understood the process. He told me tips to help ensure the longevity of the repair. Looking at the tooth when he was done, I was stunned. It looked amazing. He matched the color to the rest of the tooth and it looks seemless. Amazing work. When I first met Dr. Farr, he set my mind at ease. He took my fears of Dental work to be done, at a slow, painless, pace. Most people have had a bad experience with a dentist. He explains your options of the type of work to be done and the fees. Give him a shot, I did. At Smiles by Farr, we aim to take the pain out of going to the dentist. We are dedicated to providing our patients with the highest quality of treatment. Try as we might, we can’t control everything. That’s why we work hard to make sure the things we can control go well. The well-trained staff at Smiles by Farr are here for you. Answers, appointments, and care are just a phone call away. Smiles for a lifetime – Smiles by Farr.